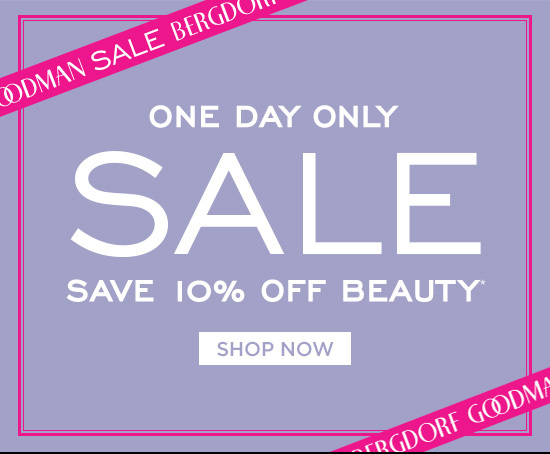 *Beauty 10% Off: Online and in-store. Offer may differ in-store. Selected merchandise only; qualifying items will be designated on the site with colored type on product pages. Savings will be reflected at checkout. No adjustments for prior purchases. Vendor and other exclusions may apply. Excludes Online Clearance merchandise, catalog orders, Neiman Marcus® and Last Call®. Bergdorf Goodman employees are not eligible for offer. Offer ends 1/2/19 at 9:00 AM CT.